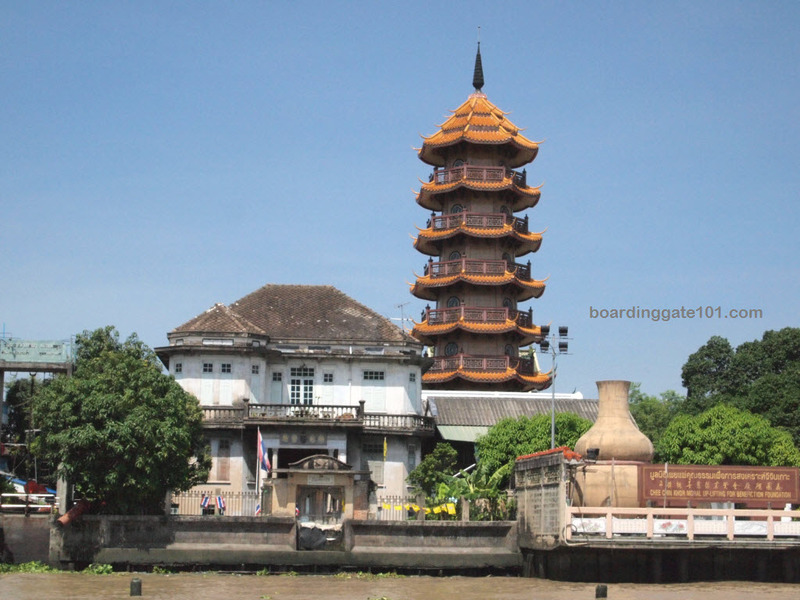 The 8-story tall pagoda along the bank of Chao Phraya river in Bangkok, Thailand. Pagodas originated in Nepal, and its forerunners were called a stupa, a place where sacred relics were kept. 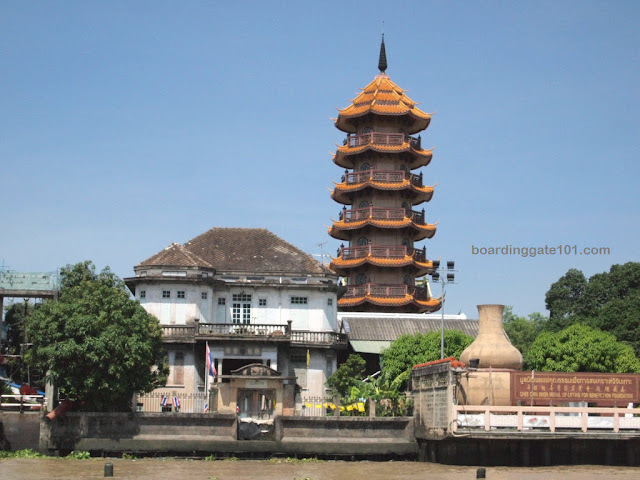 Today pagodas refer to a tiered tower with multiple eaves, common in mainland Asia .